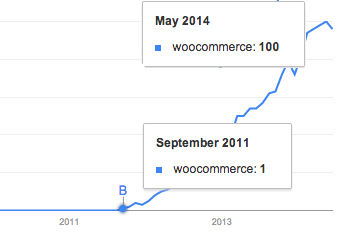 A quick look at Google Trends reveals that WooCommerce has been garnering exponential popularity over the last three years. Discover how your WooCommerce platform integrates with TradeGecko's inventory management system today! Certainly, it's no doubt that WooCommerce has been one of the most popular go-to platforms for aspiring entrepreneurs for a long time. Because honestly, what better way is there to curate an online shop for your esteemed product than by utilising one of the most resilient and prolific Content Management Systems out there on the WWW - WordPress! Users who already own a WordPress site can very simply set up a web store to call their own with just a click or two. This is sharply different from other eCommerce platforms around, such as Magento, which is catered more towards professional enterprise-level transactions. However, as loyal (we politely presume) WooCommerce webstore owners, have you really been gaining full advantage of this great e-Commerce platform? 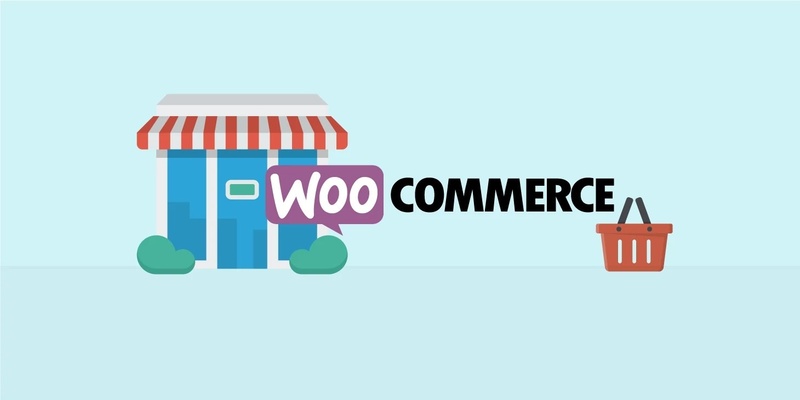 First thing first, if you're looking for an eCommerce solution, you'd be wise to check out what WooCommerce can do for you. Apart from it being an extremely solid eCommerce platform, its wealth of features make it reasonably straightforward to get you promptly started on e-Commerce, be it if you're using your own customised site theme or a WooCommerce-enhanced theme like Wootique. Built on top of several readymade standard WordPress Custom Post Types, not only is the basic WooCommerce plugin entirely FREE to use, it comes with complimentary standard e-Commerce platform features such as shipping and tax settings, various payment gateways and methods, and a series of reporting on sales, customer contacts, and inventory. The very words of the WooCommerce team helps to sum the whole platform up nicely - "a toolkit that helps you sell anything, beautifully." However, like everything else in life, there is a ceiling to what WooCommerce's technological capabilities can extend to. Indeed, according to Loadstorm's benchmark test on various e-Commerce software, the WooCommerce platform scored pretty poorly in areas such as estimated scalability, with a result of a mere 412 concurrent VUsers (an application which primary tool is to aggregate the various tasks that go into adding users, web sites, whatever into a single command) at one time. For such a minimal store that's easy to set up, you'd think that it'd be able to handle much more that that. This is where WooCommerce gets creative with troubleshooting their platform's limitations. 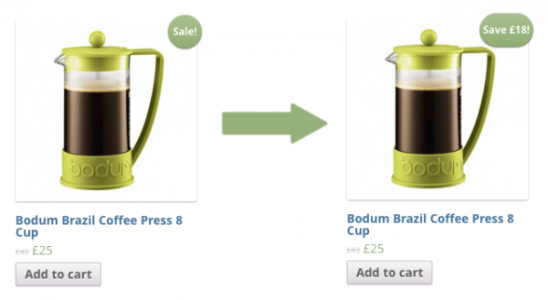 Accompanying cool WooCommerce tricks such as Snippets that you can incorporate in your WordPress coding for a more customisable eCommerce management, did you know that WooCommerce itself offers a whooping 60 possible plugin extensions?! With such a wide array of technological integrations, it was incredibly interesting to find that only a very small number of WooCommerce users partake in integrating their webstores with other eCommerce plugins. According to data analyzed by BuiltWith, the uptake of any additional eCommerce technologies by WooCommerce users is very low at approximately 0.01%. Why is this the case then, when there're certainly elements in the WooCommerce system to be aided in? Why would one limit oneself to the benefits of beautiful, wonderful technological integrations? We did a bit of filtering and sifted out 8 nifty and unique WooCommerce add-ons, which you may have missed out on, to help scale your WooCommerce experience to something that's so much more and stand out in the sea of e-shops in the fields of customer experience, product exposure, and product management. The WWW market is presently flooded with virtual currencies such as BitCoin and Litecoin. No matter your personal sentiments towards them, these currencies have a growing and genuine value attached to them. With a growing segment of online consumers that have them, not only will providing crypto currencies as a payment method open up a new outlet of revenue collection, your site will garner greater exposure by being listed on directories that pinpoint people to platforms where they can spend their hard-earned coins. Free advertising, just like that! The CoinPayments.net plugin makes it simple to jump onto this financial trend: with a drop-in Woocommerce component that simply affixes another gateway to your checkout and the flexible ability to choose the type coins to accept (even Dogecoins are offered!). Heighten your shop's offering and consequently, your customers' shopping experience. Instagram Selfies and hashtags for your products? Why not! Webstore owners selling products with a wow factor can appeal to the desire of their target market by automatically bringing “selfies” onto your product pages, directly into a grid in your content area. With the WooCommerce Instagram plugin, you'll be able to tag a product with a specific hashtag. When users upload pictures with that hashtag, it'll appear on the page. Not only does this fill up your product page with continuous content for SEO value, it'll heighten the shopping experience of your customers by viewing the product in context. Just kicked off your e-shop and looking for a smart way to promote your goods in the social sphere? Why not reward your potential customers with a strong incentive that's simply too convenient to ignore to Tweet, Like, or +1your page? The Social Coupon for WordPress is a WooCommerce extension that automates and optimises social sharing directly into your shop's checkout process and product pages. Coupons are directly applied to a customer's cart without having the hassle of typing in a code when a social action is carried out, making it incredibly easy for you to gain a growth in your social media traffic. Promoting of your products often gets easier when you know where your potential customers hang out at on the WWW. So, if you're a maker and your inventory consists of unique, hand-made product types, why not latch on to eBay, the go-to platform for all things crafty or second-hand? The WordPress Lister for eBay plugin opens your store up to a whole new crowd by connecting your WooCommerce shop with your eBay account. Select multiple products from your product page, create listing profiles and choose eBay categories, and list them on eBay entirely from your WordPress Dashboard. Engineered to be flexible, this finely tuned WooCommerce integration requires no more than a few clicks to get your products up on eBay, and expand your audience. 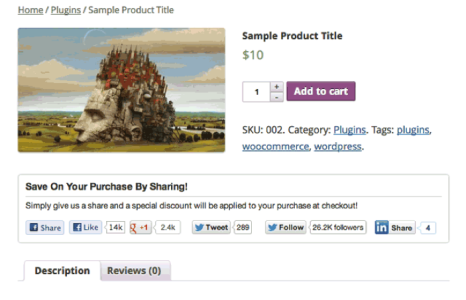 When you put up a product on sale, WooCommerce attaches a tiny "Sale" badge at the corner of the preview image. But are you looking for something to give your customers that little extra nudge to click through to your product page? The WooCommerce Smart Sale Badge plugin enhances the standard WooCommerce sale badge by replacing the word, "sale", with the total savings that one would receive from the discounted product instead. 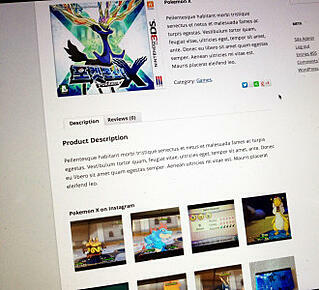 Curated to work with various WooCommerce product types, single products will display 'Save $X!' and grouped products will display 'Save up to $X!'. Take a leaf out of Amazon's incredible marketing, where the eCommerce platform's use of this straightforward technique has proven to increase conversion rates and garner distinct product exposure. Fluff and product exposure aside, I'm sure we all agree that it's necessary to have super efficient inventory management for your back-end processes. Thankfully, there're super plugins to get you sorted out in areas such as Shipping and Warehouse management. 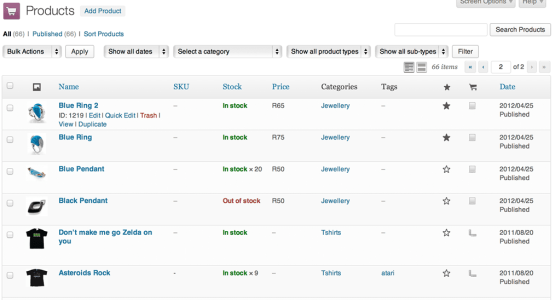 What about a system to manage all your inventory, purchasing, and sales from one easy to use dashboard? The WooCommerce TradeGecko add-on does just that and gives you a complete inventory and order management platform for your WooCommerce store, be it if you're selling on consignment or wholesale. By integrating TradeGecko with WooCommerce, you can bring the power of TradeGecko’s backend tools to help manage your e-store. This intuitive integration streamlines your business and makes managing multiple WooCommerce stores, multichannel sales and orders, stock levels, and goods across multiple-warehouses a real breeze. All this, up in the cloud! Go on, see how you can get started with the WooCommerce-TradeGecko integration. Not to worry, we've support articles available to help you out! The Woocommerce inventory management add-on for TradeGecko is here!